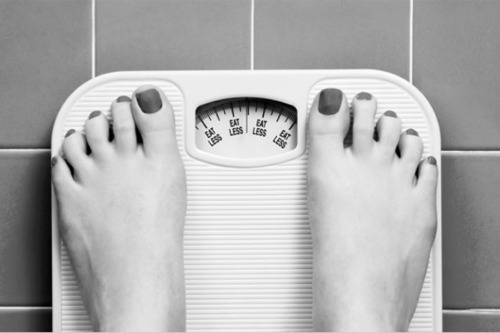 On Anorexia, weight loss and gain. One might think that after about 80 posts I should be able to remember my blogger password.. well.. no. Oh by the way it just started snowing... I guess that's something humans will always be fascinated of. Today I come to you with a different subject than normal. Weight Loss. I can say that after the age of 8 I started to be on the chubby side. Never really fat but you know never that you'd tell me "eat a burger" then I started dance lessons which became tougher and tougher and more regular and eventually by the age of 14 I was rated as anorexic. Sounds stupid right ? Well we had this food psychologists, nutritionists come to our school and force us to take a stupid test on our eating habits, physical data and all sorts of other things. We were then given numbers and anonymously the numbers "at risk" were written on the blackboard. Back in those days my best friend used to be a slightly over weight girl, sitting right next to me, so I knew her number she knew mine and as weird as it sounds we both were written on the board. Different problems yet both in the same boat. Eventually we were invited to go see this psychologist and well it was amongst the scariest things in my life. Never would I ever have expected myself in a recovery clinic for eating disorders. I was not doing anything. I sped up my metabolism, had dance class about 5 times a week for 2hrs each time and ate healthily. Apparently it was too much. The psychologist called us in. Pitch black dyed hair quite fake looking, fake tan, black lipliner and glittery pink lipgloss... an epitome of bad taste. She bombarded us with a series of questions and if we did not answer straight away she almost shouted "YES OR NO ?". We gave her our phone numbers and she wanted to give us appointments with our parents. Luckily that never happened. I'm blessed I got "out of it" without any help. Thing is.. I actually went back to the chubby side. Now this is something quite personal. I never liked my body, like, ever. There is always too much or too little. Legs are too short, stomach too protrudent. When I went for my work to Ireland that's when I hit rock bottom. Loads of unhealthy food and hardly any exercise made me gain tons of weight to the point that when I came back home, no one avoided telling me I got fat. I spent all summer losing those 7kg I gained and thank god I managed that pretty well. What's been annoying me though is that. That was 2 years ago. I've been stuck on the same weight for 2 years. My BMI tells me I'm overweight so now I decided that it was definitely time for a big change. I'm 21. I want to feel confident, wear age appropriate clothes and not dread the spring and summertime because of my hips. Of course I'm not a 200kg girl, far from that... thank god. Yet I do probably have the same body issues and insecurities. Chubby cheeks give the impression of youth. Thing is.. when you're 21 the last thing you want (maybe that's just me) is being asked for your ID because you look underage. Don't get me wrong, it's an advantage I used rather often but still. One day I'll beg to look "young" again but right now. NO. Anyway what I'm trying to say is that I'm the laziest person on the planet.. maybe not but I used to live by the phrase "Can't reach it ? Don't need it !" But since I want change I'm trying to do something every day. I've now set up an account on this amazing page called Sparkpeople. You can track your daily food intake and the calories, the exercises you do and the calories burnt, the amount of water you drink (VERY IMPORTANT) and last but not least there is tons of forums to read for advice, recipes and motivation. You can also set a goal and it tells you in how much time you can achieve it and how many calories you're "allowed" to eat to achieve it. Now I eat at the cafeteria of my school which makes those tracker a little bit complicated but it's also a reason to eat healthier, to eat separable foods and I'm becoming a pro of "eyeballing" quantities. About the exercise. I like exercise no I LOVE IT ! Thing is I can hardly ever get myself to do it. I used to dance and used to love it to bits but here I don't have the chance and funds to do it so I have to do something easier. For once I downloaded this app called P4P: Abs which can be a bit repetitive I must admit but it really works. I did that for 3 weeks and I did have a flatter stomach :D Aside from that, a lovely friend of mine shared the famous "30 day shred by Jillian Michaels" with me and now it's been a week that I have been doing that. Been sore for the first 5 of those 7 days but you can see results, you feel more energetic and everything's starting to be a lot less flabby. Sorry for the really long post but I hope you found it interesting. Reason why I am sharing this is because our "Personal Development Teacher" told us that a shared problem gives motivation. I am already motivated but this was also to give some ideas to those feeling lazy and lost.